Espere Healthcare Blog: Eczema keeps Adults awake too! Every parent is familiar with disturbed nights, especially during the first couple of months of parenthood. But just imagine if your child is one of the 10% to 20% of children who suffer from eczema. The intense irritation and continuous scratching means they rarely get a normal night’s sleep. These disturbed nights can go on for many years, and can be very disruptive to the whole family. In most cases, however, the eczema gradually becomes less of a problem and most children eventually grow out of it. But spare a thought for those whose eczema doesn’t gradually fade away and their condition continues through the teenage years into adulthood. The severe itching and redness and the constant scratching which can lead to secondary infections doesn’t abate. Of course the itching and scratching is annoying and a hindrance, but it goes way beyond that and eczema can have a dramatic effect on the sufferer’s quality of life at night as well as by day. The effect of eczema on adults was the focus of a report in 2009 which highlighted some of the frequently underestimated problems these patients face. Itching is the major problem. Affecting 83% of the adults in the study, itching can be so intensive that it significantly disrupts patient’s lives. We all need our sleep; it helps restore us for the day ahead. Anyone who’s had a disturbed night knows only too well the effect it can have on both mental and physical abilities. Now imagine having disrupted sleep for weeks and weeks on end. Well that’s what happens if you suffer from eczema. Fortunately there is help at hand because a group of research doctors carried out one of the few studies ever undertaken on adults suffering with eczema. The study demonstrated clearly that patients wearing DermaSilk Therapeutic Clothing experienced a significant reduction in itch scores compared even to cotton clothing. More importantly, the study showed that wearing DermaSilk pyjamas at night helps calm skin inflammation, reduces itching and significantly increases the chance of a good night’s sleep. 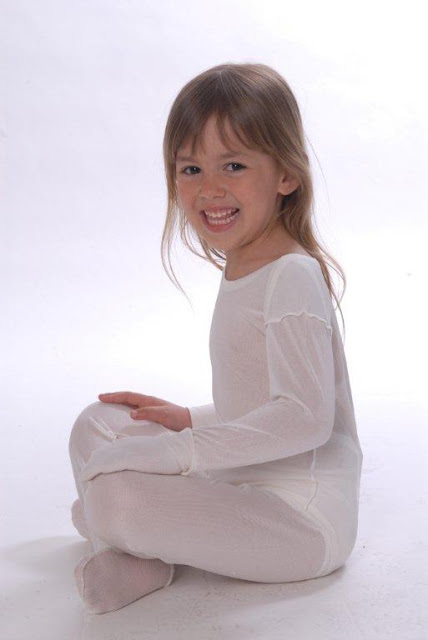 Since its introduction to the UK market in 2006 many thousands of children with eczema have benefited from DermaSilk’s innovative scientifically proven underclothes. Perhaps it’s now time for the long suffering adult patients to claim their chance to a good night’s sleep?